I think the type of service and responses after the test from you is one of the best I have ever experienced. Microwave Properties North was able to quickly and accurately measure the microwave properties of our materials, confirming the characteristics for a new process that we were looking for. This allowed us to move forward to bring a new product to market. Ron brings years of experience to microwave property measurement and is a pleasure to work with. Will my material heat well in a microwave field? What is the best choice of frequency for heating/processing my material? What type and geometry of applicator is best suited to processing my material? How uniform will the heating of the work piece be at processing temperatures? Will its microwave absorption characteristics change during the processing? Will thermal runaway be a problem in my microwave processing system? Does my thermal insulation absorb/reflect microwave power at high temperatures? 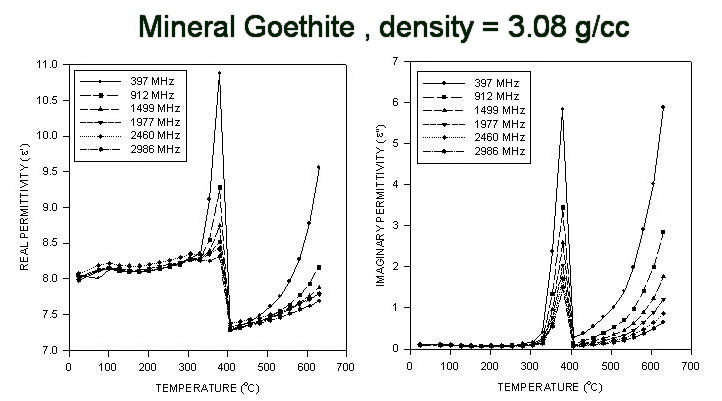 Measurement of the complex dielectric constant of small samples, at frequencies between 50 MHz and 3000 MHz, up to high temperatures (-35°C to 1400°C), under specified industrial processing conditions (pressure, cover gas, temperature, moisture content, temperature ramp rate, density). Our customers have included many groups working at the forefront of developing innovative microwave-based industrial processes or new materials for microwave system applications, such as Dow-Corning, Owens-Corning, PEPSICO, Saint Gobain, Schlumberger, SUNCOR, GE Research, Kimberly Clark, SCHOTT Glas, Geological Survey of Canada, Ceradyne, Cameco Corp., Sherrit Inc., NRCAN, Rio Tinto ….